Tennis is a popular activity that combines the physical exercise so many are seeking with the blue skies and sunshine at Happy Trails Resort. The weather almost always cooperates and the great Arizona sunshine and warm temperatures are perfect for a fun time with friends you've met from all over the U.S. and Canada. The courts are waiting for you...and there's sure to be others who want to join you for a great game! 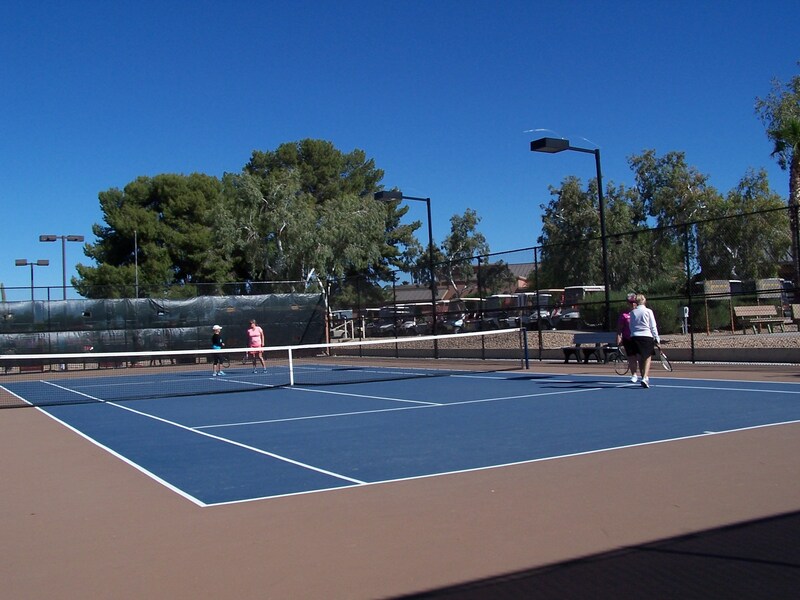 The Happy Trails Resort tennis courts are known for their excellent condition and playing surface. Are you ready for a challenging game? 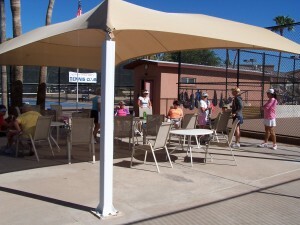 We have a great covered patio area, next to the courts, where we socialize while resting, watching, or waiting to play. 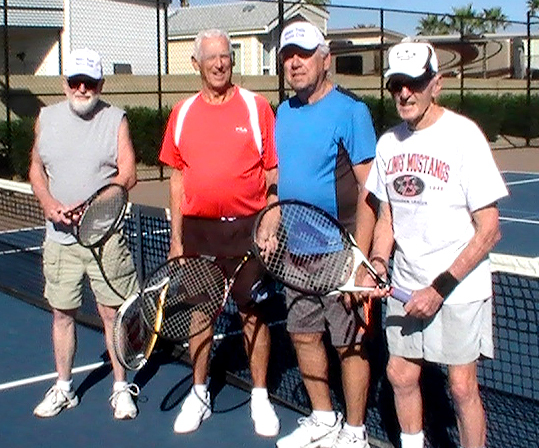 Our Happy Trails tennis players compete in the West Valley Tennis League. We have some very good players on both women and men's teams.